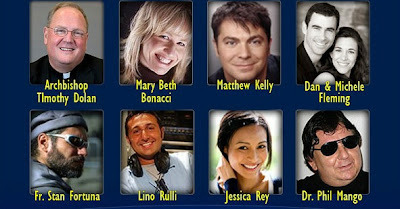 Starting in September, CatholicTV will air a new show entitled “The Prophets and You”. This new show is hosted by Dr. John Clabeaux. Dr. Clabeaux earned a Ph.D. from Harvard University and is an associate professor of Sacred Scripture at Pontifical College Josephinum School of Theology in Columbus, OH. Sept. 7 Prophecy: Christian Calling or Church Problem? On Friday, August 28th, “Women & Spirit: Catholic Sisters in America” a traveling museum exhibit, will be discussed on the CatholicTV talk show “This is the Day”. The exhibit, which will be shown in the Smithsonian and across the nation, highlights little known facts about American sisters and their history in the U.S. These include the story of how since 1980, at least nine American sisters have been martyred while working overseas. Few people are aware that more than 110 U.S. colleges and universities were founded by Catholic sisters. Sr. Helen Garvey, BVM will discuss the exhibit on the set of “This is the Day”. The Women & Spirit: Catholic Sisters in America (Women in Spirit) exhibit opened in Spring 2009 at Cincinnati Museum Center and will travel nationwide for a 3-year tour with stops at Ellis Island and the Smithsonian. "Women & Spirit" showcases numerous artifacts which have never before been on public display. Items assembled from over 400 communities include a handwritten letter from Thomas Jefferson, a cradle from the NY foundlings, and a replica of the first incubator along with traveling trunks, journals of immigration experiences, pioneering healthcare devices, diaries, samplers, musical instruments, student work, and ephemera associated with a number of saints. A total of 70 objects will be displayed at each venue. 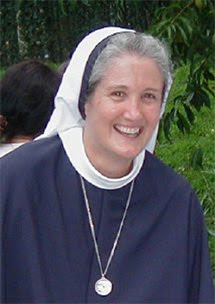 Sister Helen may be seen on Friday, August 28th live at 10:30AM (EST) on CatholicTV where available (rebroadcast at 8PM). The show will also be streamed simultaneously at www.CatholicTV.com and will be available on the site’s archives starting Friday night. All videos at the website are viewable in full-screen. Paste this URL into your browser in order to access the “This is the Day” video archives. http://www.CatholicTV.org/shows/default.aspx?seriesID=72. The show will be available as a free download from iTunes. On Friday, August 14th, Major Jennifer Willis will be featured in a live interview on the CatholicTV talk show “This is the Day”. 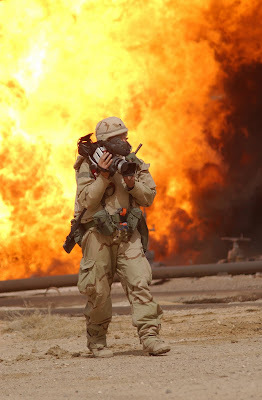 Major Willis is the leader of a 20-person unit of military broadcasters and print journalists who are covering the war and military life in Afghanistan. In March, Major Willis’ convoy was attacked by militants in the Konar Province of Afghanistan. Despite 2 hours of fighting, no one in the convoy was harmed. Major Jennifer Willis is a Catholic who enjoys singing in the Catholic choir at Bagram. She sponsors an Afghan teen who is a student at a carpet weaving school in Kabul. Major Willis is a third-generation career military officer. Major Willis has had sixteen years of service in the Army, including seven overseas. She has been stationed at Ft. Hood, TX; in Honduras; in Egypt; in Germany; in Gainesville, FL; and at Ft. Lewis, WA. She left her son Morgan at home with his father when the baby was seven months old. When Major Willis returns from Afghanistan, her son will be 19 months old. Also on “This is the Day” will be Dave Solimine Jr. and Sr. The Solimines are involved in the funeral business and take part in the corporal and spiritual works of mercy of praying for and burying the dead. Dave Solimine Sr. says that no one in his funeral home is buried without a prayer. If someone has no family, Dave or one of the funeral directors prays in the viewing room for the person. The Solimine family has a tradition of community service and philanthropy that dates back more than a half-century. Mr. Solimine will discuss the “Wall That Heals” which is a travelling version of the wall at the Vietnam Memorial in Washington, D.C. The “Wall That Heals” will be visiting Mr. Solimine’s hometown of Lynn, MA from August 27th-30th. The Installation Mass of the new Bishop of the Diocese of Saginaw, Michigan, Joseph Cistone is now viewable online free of charge and in full-screen at CatholicTV.com. 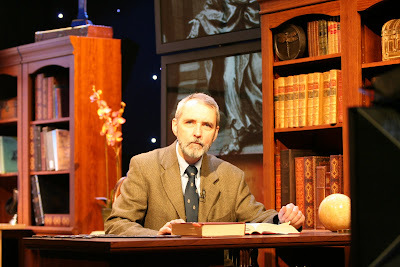 The archived video at CatholicTV.com includes commentary by Fr. Joe Krupp and Bill Harris from ABC Channel 12. The papal nuncio Archbishop Pietro Sambi is also featured in the video, reading the letter of appointment from the Pope. The archived video includes 2 hours of footage. On March 14, 1998, Bishop Cistone was named as an honorary prelate by Pope John Paul II, giving him the title of monsignor. That same year, he was appointed as Vicar General and Vicar for Administration for the Archdiocese of Philadelphia. John Paul II recognized him again on June 8, 2004, when he appointed Monsignor Cistone to become an Auxilary Bishop for the Archdiocese of Philadelphia. He was consecrated as a bishop on July 28, 2004, at the city’s Cathedral Basilica of SS. Peter and Paul. Bishop Cistone chose for his episcopal motto, a phrase from his daily devotion to Philadelphia’s Saint John Neumann: Father of Mercy and Love. 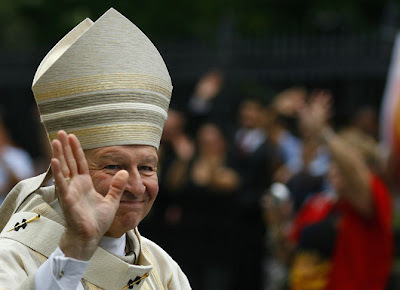 Bishop Cistone was appointed Bishop of Saginaw by His Holiness Pope Benedict XVI on May 20, 2009 and installed on July 28, 2009 - the fifth anniversary of his episcopal ordination.